Summary: Sheldon’s “best friend” Tam reaches out to say he’s coming into town, which upsets Sheldon because apparently Tam betrayed him, but nobody close to him has ever heard of this so-called “best friend.” Leonard, Howard, and Raj go to find Tam to find out what he did since I guess that’s...normal (?) and find out that Sheldon was just mad that Tam stayed in Texas when he moved to California. Meanwhile, Raj announces his quick engagement and Penny and Bernadette want to find out more about his new fiancée Anu, so they go out to dinner with her. But they both get a little tipsy and reveal some embarrassing facts about Raj, including that he takes baths with his dog. Worst joke: When Bernadette and Penny roll up to the hotel where Anu works, Bernadette says that maybe they should just get a room, order some food, and take a nap. “No, I’ve fallen for that line before,” Penny says. “And it never leads to napping.” Ew? Nerdiest moment: Sheldon’s list of enemies has a Terms of Service and a Captcha login. 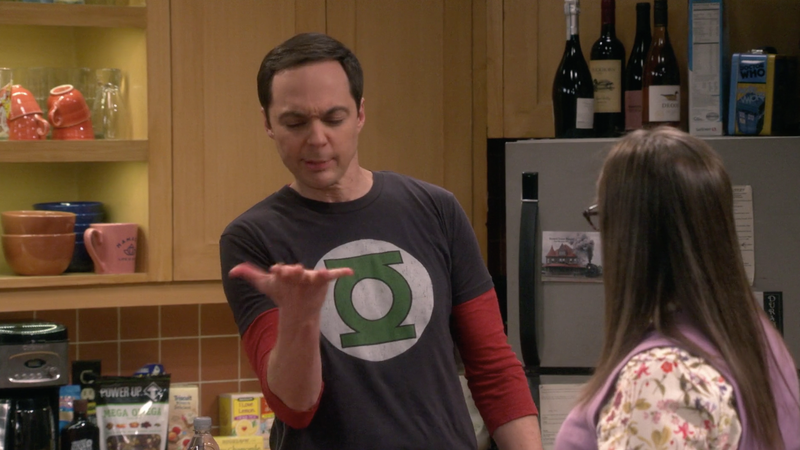 Also...*leans in closer, whispering* I haven’t heard Sheldon say “Bazinga!” once so far this season other than a flashback and I thought that was his whole thing and now I wonder if I’m watching the right show or if I simply can’t hear it when it happens, like it’s some sort of whistle only dogs can hear. How dead is this show? : Do you know the story of Jolly Jane, one of the most famous women poisoners who confessed to killing over 30 people when she was arrested in 1901? Well, she would kill her victims by injecting morphine (to calm patients down) and then atropine (to speed up the heart) and so on and so on almost as a form of torture. Up, down, up, down, until they died. That sort of reminds me of how Big Bang Theory is doing right now.